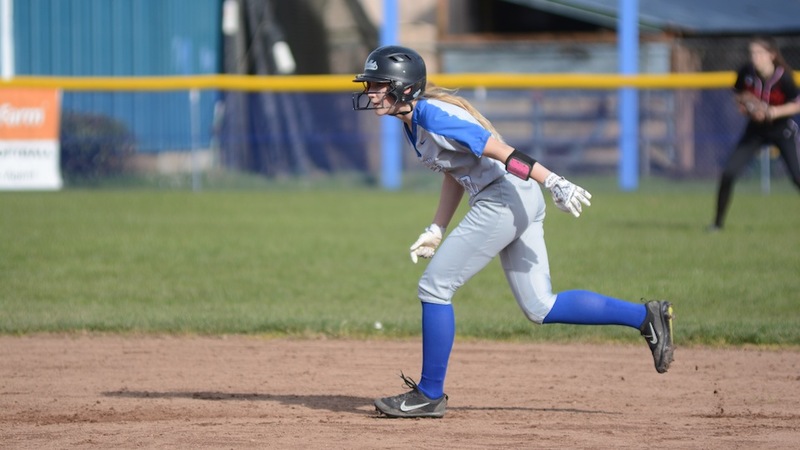 McNary wasn’t at full strength for its first three softball games. Playing a doubleheader at Churchill on Friday, March 16, the Lady Celts opened the season with a 16-6 victory in game one. McNary then took game two 16-4. After the series, Churchill’s pitcher, Sarah Sheppler, a senior, told McNary head coach Kevin Wise that she was trying everything, didn’t know what else to do and had never seen a team hit like that. Without shortstop Haley Bingenheimer, who was recovering from the flu and second baseman Taylor Ebbs, who was away on a family obligation, the Lady Celts combined for 40 hits in the two games, including 10 doubles and a home run. Catcher Courtney Roberts was 6-for-9 with five runs, three RBIs, two doubles and a home run at Churchill. Outfielder Emma Kinler went 6-for-10 with five RBIs, two runs and two doubles. In Bingenheimer’s absence, freshman Kate Ronning moved from third to shortstop and Nadia Witt went from center field to third. Shaylee Custer, typically an outfielder, played second in place of Ebbs. McNary had 83 at-bats in the two games at Churchill and no one struck out. Faith Danner pitched all 13 innings to earn both wins. The Lady Celts remained hot at Cleveland on Monday, March 19, winning 11-0 in five innings. McNary recorded 13 hits, including two doubles and two triples. Sophomore outfielder, Alexa Cepeda, was 3-for-4 with two runs, three RBIs and two stolen bases. Nadia Witt was 2-for-4 with three runs and two stolen bases. Kinler was 2-for-3 with a double, triple and two RBIs. Danner pitched all five innings, allowing four hits and striking out seven batters. 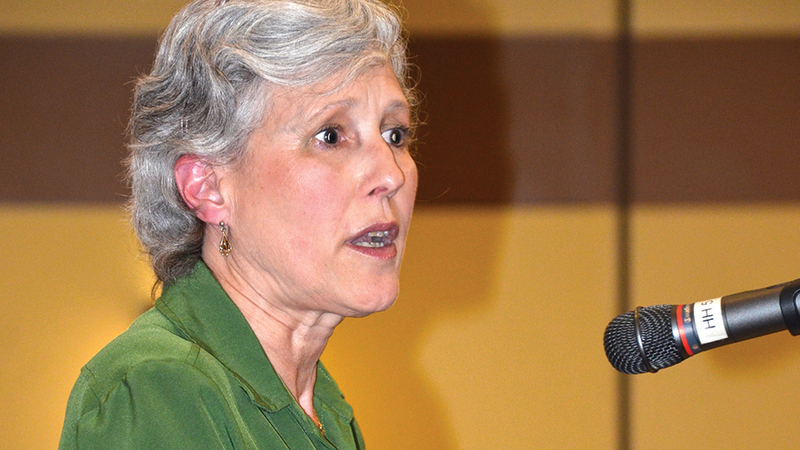 Getting to “yes” and thinking long-term were the two themes of Mayor Cathy Clark’s annual State of the City speech during a Keizer Chamber of Commerce luncheon Tuesday, March 13. Clark traced the threads of both themes through recent citywide and regional events as Keizer sets itself up for answering some of the big questions that will need attention in the near future. Clark piggybacked on the topic of the event’s first speaker, Raul Marquez, a McKay High School senior leading the charge to establish a youth homeless shelter in Salem. Clark also sees the process of getting to “yes” in the work of the Keizer Parks Advisory Board, Keizer Police Department and the Keizer City Council as they collectively moved toward the implementation of service fees in 2017. She also noted the rapid changes happening along River Road North and Cherry Avenue Northeast. In addition to adding a second, dedicated grocery store, numerous other offices and restaurants have opened in Keizer recently. She added that while Goodwill in Keizer Village will soon close, she is confident the property owner will secure a new anchor tenant soon. Talk of the local business scene led neatly into the biggest question Keizer will have to answer to keep growing: what to do about the urban growth boundary that contains sprawl and protects agricultural land. “We have a couple of developable spaces, but that’s it. Even if we filled all those spaces, we are 240 acres short of residential land and land for employment,” Clark said. If Keizer chooses to add residential space, Clark wants to see space added for employment – in the form of commercial, industrial or mixed use zones – as well. “Setting up a space for where people can only live doesn’t make for livable community. If we’re looking for volunteers, I’d rather have them here than on I-5 commuting to work,” she added.